Peter Pan is a classic adventure and the new Signature collection gives new life to this Disney masterpiece. 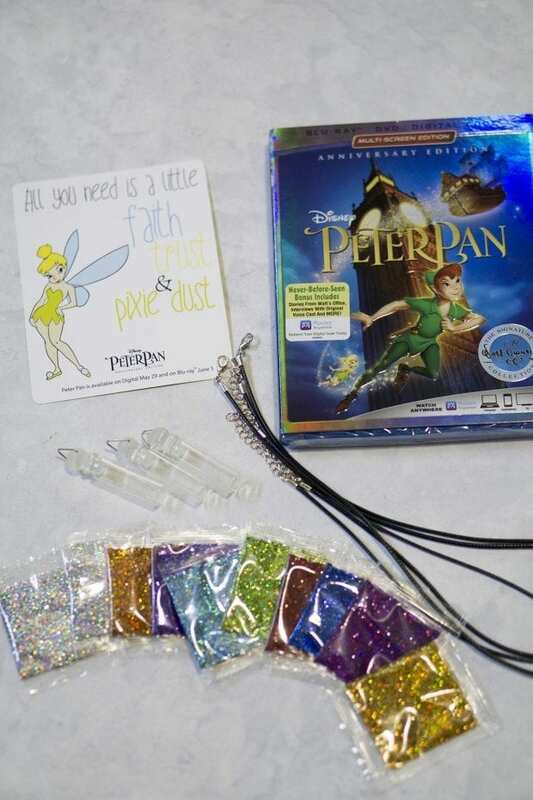 To celebrate the new Signature Collection edition we made some fun Pixie Dust Necklaces. 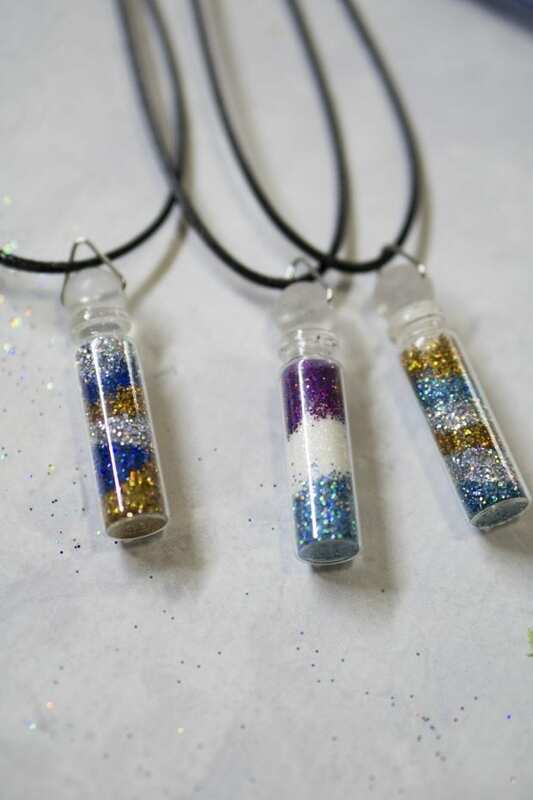 These necklaces are great for themed parties as a craft to make and take home! 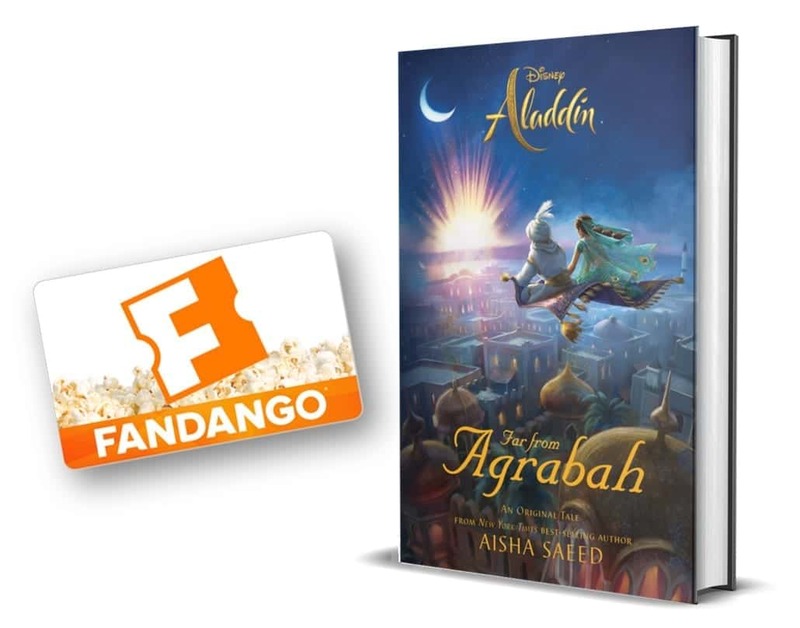 If you haven't experienced a Signature Collection copy of a movie yet you are in for a treat. They contain amazing behind the scenes footage that the Walt Disney Archives department has taken care of for years. For some of the older classics, you get to see Walt Disney working on the projects. This release of Peter Pan is FILLED with amazing content. Peter Pan is available on Digital now and Blu-ray™ June 5 – Enter to win a copy at the bottom of this post. Cord Necklace – We used black but they also have colorful ones. Tiny Glass Bottle Charms – They make them with rubber stoppers and cork stoppers . Glue (optional) – If you want your stopper to be glued shut so that there isn't an accidental pixie dusting. Pour the glitter into the glass jars all the way to the top. We picked out our favorite colors and made a pattern in them. They turned out really cute and the girls love wearing them. Growing Up with Nine Old Men – “Peter Pan” is both a story of living with a child’s sense of openness to the world and an acknowledgment that the path to adulthood most often leads away from those qualities. A parallel of sorts to that duality can be found in Walt Disney and his core group of animators, the Nine Old Men, in their lives and in their work. Our short film will look at who they were and the parts they played in one of the most remarkable teams of artists that ever worked together. 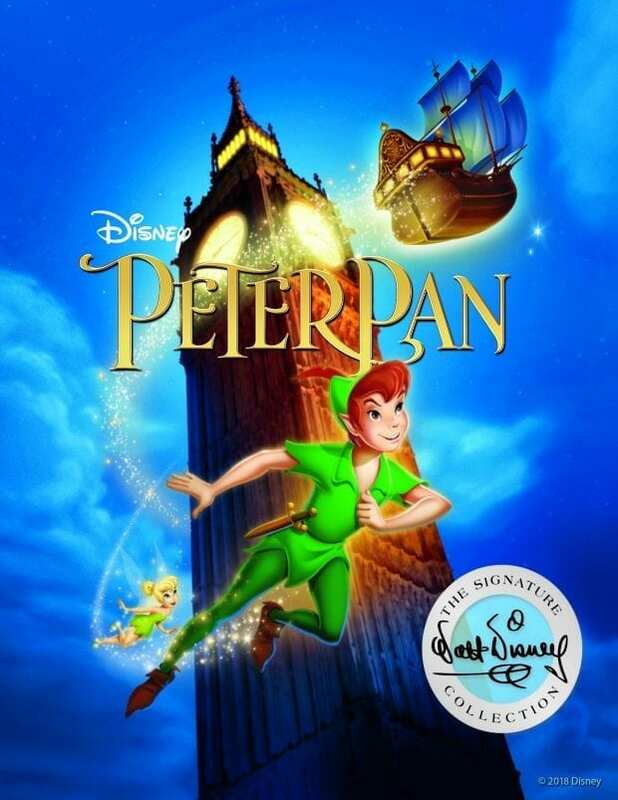 Win Peter Pan Signature Collection! :Who is your favorite Peter Pan character?” The dog, Nana, because who doesn’t love a big, beautiful doggie? I could have watched that special feature all day – I hated when it cut off!!!! My favorite Peter Pan character is Tinker Bell. She is Fiesty. I enjoy this movie. MY favorite character from Peter Pan is Wendy, she reminds me of myself. Tinkerbell is my favorite Peter Pan character.